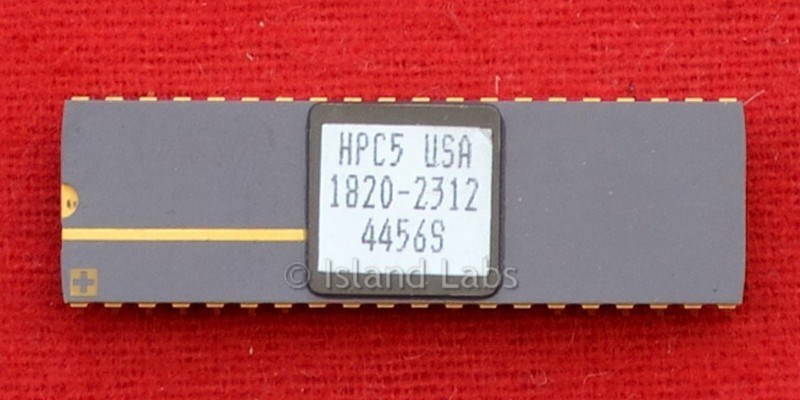 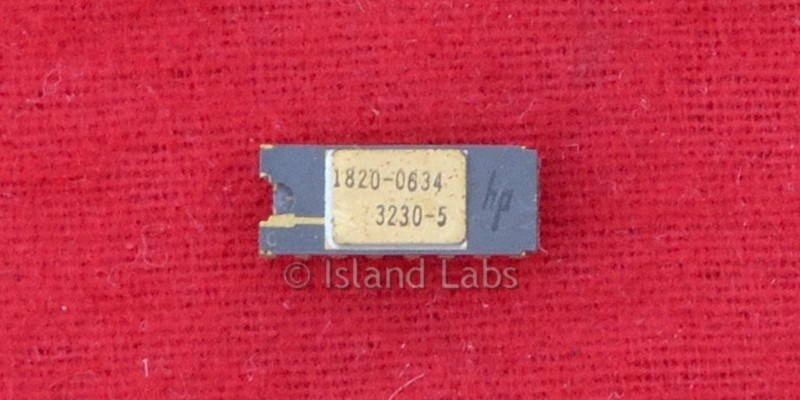 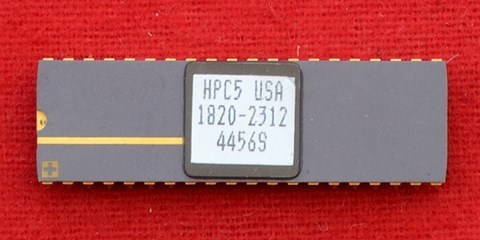 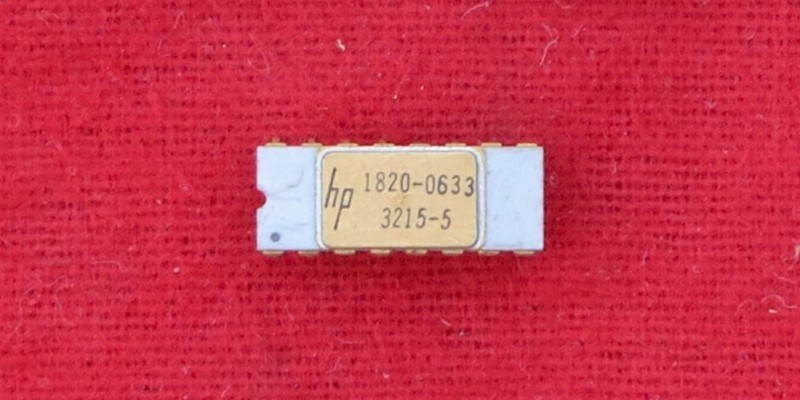 The HP 1820-0633 marked A1U21 on the schematic, is a decade divider IC utilised in the time-base section of the HP5328A universal counter; white ceramic case and golden pins. 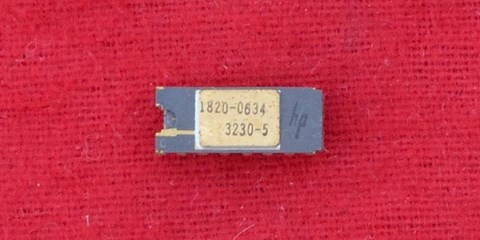 The HP 1820-0634 marked A1U12 on the schematic, is a custom hex decade counter used in the HP5328A universal counter; purple ceramic case and golden pins. 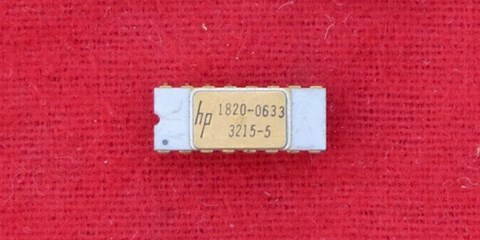 The HP 1820-2312 marked A1U20 on the schematic, is the custom digital integrated circuit utilised in the HP5334B frequency counter; purple ceramic case and golden pins.